BlackwaterBLUE from monkster.com: Is Pastore a real Modric alternative? Is Pastore a real Modric alternative? Javier Pastore could become Chelsea's top transfer target, after Andre Villas-Boas revealed the club would not wait indefinitely for Luka Modric. The Blues are believed to have made three bids for unsettled Tottenham midfielder Modric, but the White Hart Lane board insist the Croatian is not for sale at any price. New Chelsea boss Villas-Boas has now admitted he is "scanning the market for everything" and considering other options. Speaking after his side's 1-0 pre-season friendly victory over Portsmouth, the Portuguese coach confirmed the club needed another creative midfielder. 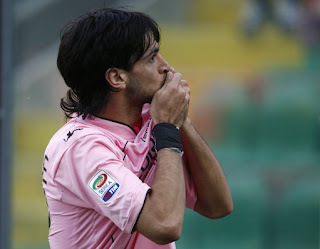 One of the options Chelsea are believed to be considering is Palermo midfielder Pastore, who is also a target for Real Madrid and Malaga. The Serie A outfit are prepared to sell the 22-year-old to any side willing to pay £45m. 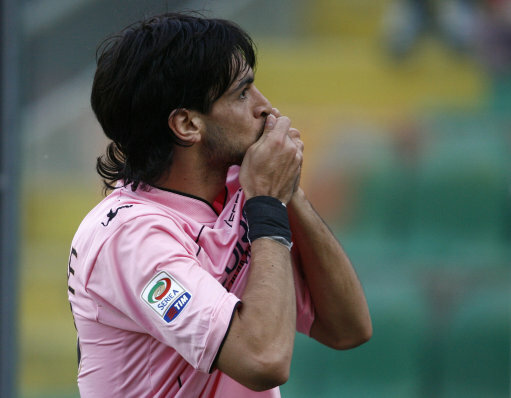 Palermo president Maurizio Zamparini has revealed there is a 99 per cent chance Javier Pastore will leave the club if a suitable offer arrives. Pastore recently claimed it was unlikely he would be playing for the Sicilian club next year.